Last month during our National Park adventure to Shenandoah National Park, we stopped for the day at Harpers Ferry National Historical Park. It is very hard to summarize this interesting National Park unit because it is really 4 parks in one! Harpers Ferry is a quaint, historic town in West Virginia. It is also a town that intersected with the American Civil War in many ways. It is also the site of a very significant event in history: The siege on the armory by the abolitionist, John Brown. And it’s also known for marking the site where 3 states and 2 rivers meet. It is impossible to experience all that Harpers Ferry National Historical Park has to offer in one day. But 1 day is what my family had for our first visit. It was a jam-packed day of history, food, and natural beauty. Here are 5 things to know about visiting Harpers Ferry National Historical Park! There is a saying that my wife and I have started saying to ourselves, “If there is a shuttle, use the shuttle.” Trust me when I say it. That statement has rung true in every single National Park unit we have visited. 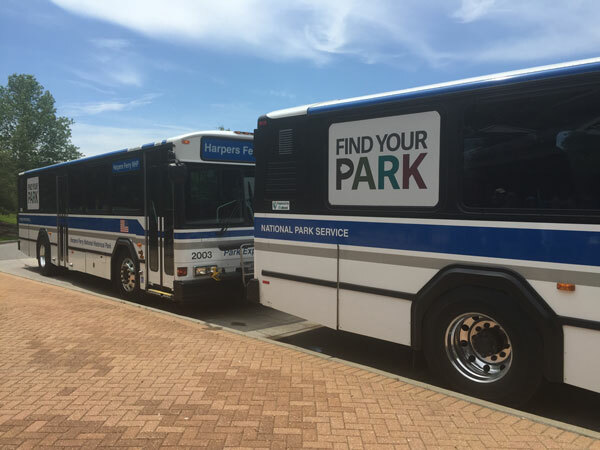 The National Park Service knows when a shuttle service is needed and Harpers Ferry National Historical Park is no different. The town of Harpers Ferry is very nice and quaint which also means the streets are narrow and the parking limited. It is very counterproductive to spend time stuck in traffic and looking for a parking spot in Lower Town. Instead, park at the Cavalier Heights Visitor Center which is located at the main entrance of Harpers Ferry National Historical Park, at 171 Shoreline Drive, Harpers Ferry, WV 25425. Then catch the totally free shuttle bus to Lower Town. The shuttle also makes a stop at Loudoun Heights, the site of a major Civil War battle. The free shuttle comes frequently. The line was about 60 people deep when we got to the Visitor Center and we within 10 minutes we were on a bus. The shuttle is air conditioned and comfortable. The shuttle ride to Lower Town took 10 minutes after making the first stop at Loudoun Heights. 2. Stop at the Cavalier Visitor Center for Passport Stamps! One of the most exciting parts of our visit to the Visitor Center was all of the National Passport Stamps available to stamp our books with! With all of the significant aspects of this National Park unit including the intersection of the Appalachian Trail, the stamps filled an entire page in our books! Tip: Even though there is a Visitor Center in Lower Town as well, there is no need to bring your passports on the shuttle. You can get all of the stamps at the Cavalier Heights Visitor Center. We parked, went to the Visitor Center, got our stamps, used the restrooms and then dropped our books back off at the car. Dropping off 4 Passport books lightened our load significantly! 3. Walk the town and footbridge! When you are in Lower Town there are so many things to see with museums, walking tours, and restaurants. One of the things you must prioritize is the footbridge to the C&O Canal. It is an amazing view of the confluence of the Potomac and Shenandoah rivers. A great opportunity to go on a short walk while seeing breathtaking beauty! My wife and I were so excited about all of the interesting details we found in this historic town! There are tons of cool details in Lower Town like this facade which detailed out the outline of the original building. Or a visit to John Brown’s Fort: a reproduction of the fort where the original John Brown Siege took place. The Lower Town area also has a second Visitor Center which has a small museum explaining the many different significant things Harpers Ferry is known for. 4. 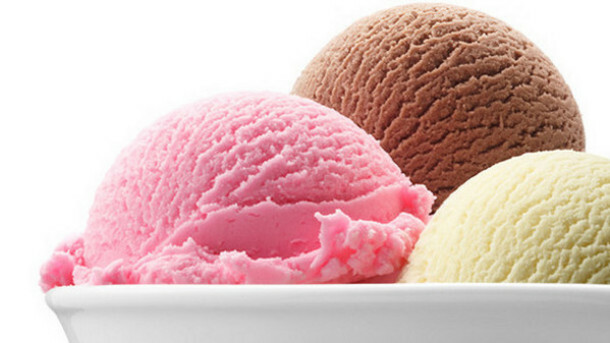 There’s More Than Just 2 Ice Cream Places! On the day we visited Harpers Ferry it was very hot and humid. With temperatures in the mid-90’s it seems like every visitor had the same idea: ice cream! We noticed a number of people waiting in long lines at 2 specific places: The Swiss Miss at 143 Potomac Street and Scoops Ice Cream at 173 Potomac Street. I’ve read from the reviews that both are great ice cream places. But there are a number of other places off the beaten path that can get you ice cream quicker without baking in the heat in line! We stopped at the Cannonball Deli at 148 High Street and got fantastic ice cream, a table and chairs to sit on and no wait! I also hear it’s a great place for lunch too! 5. Go early or spend all day to get to this view at Maryland Heights! I had, in my original plan, to hike up to this point. When we got to the Visitor Center we were told by the Park Ranger that it was absolute gridlock to drive to the point and it would take hours to get there. Or, if we were interested, we could hike up to it but it would require taking the shuttle to Lower Town, walk the footbridge, and then hike for another 2 hours to get up to the spot. This proves that nothing worth while comes easy! We decided to not go for it during this trip but we will definitely prioritize it next time we go! We had a great time at Harpers Ferry National Historical Park! We got a small dose of the history and natural beauty at this location. As an added point of personal significance, my kids earned their National Park Centennial Badges at the Visitor Center! The Centennial Junior Ranger Badge is a nice wooden badge. 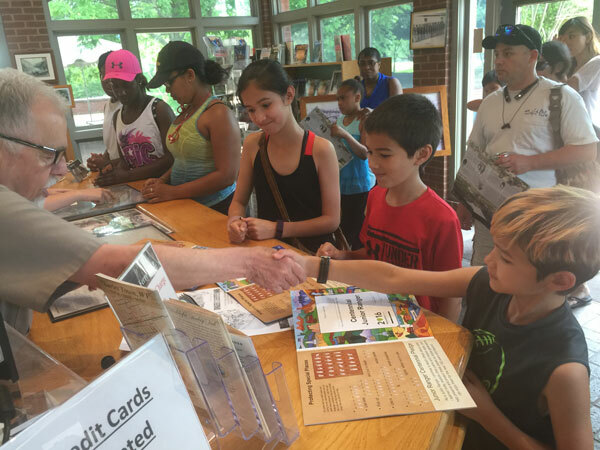 You can download the Centennial Junior Ranger Activity Book here and then turn in the completed book at any National Park site! We’ll be back! There’s so much to see at Harpers Ferry! 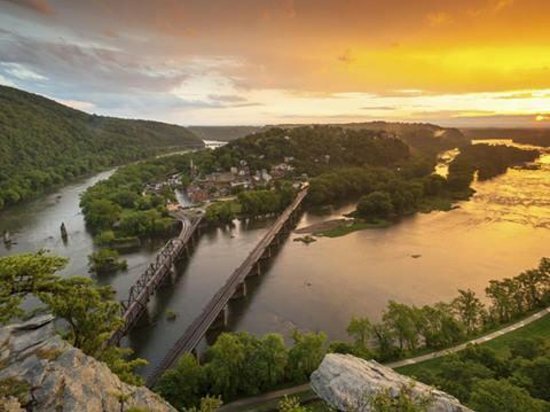 There is so much to see at Harpers Ferry National Historical Park! We feel like we just scratched the surface spending a single day there. We will definitely plan to come back to explore more of the town, spend some times learning more about the Civil War battle at Louduon Heights and definitely to hike up to Maryland Heights! Harpers Ferry National Historical Park is our family’s 63rd National Park unit visited! Check out our progress towards our goal of visiting 100 National park units as a family by 2020 here! We are very excited to continue our National Park adventures next month and to celebrate the National Park Centennial this summer! ⟵Prepping for our Pacific Northwest National Park Adventure! Thanks for the tips! Planning to visit it soon.